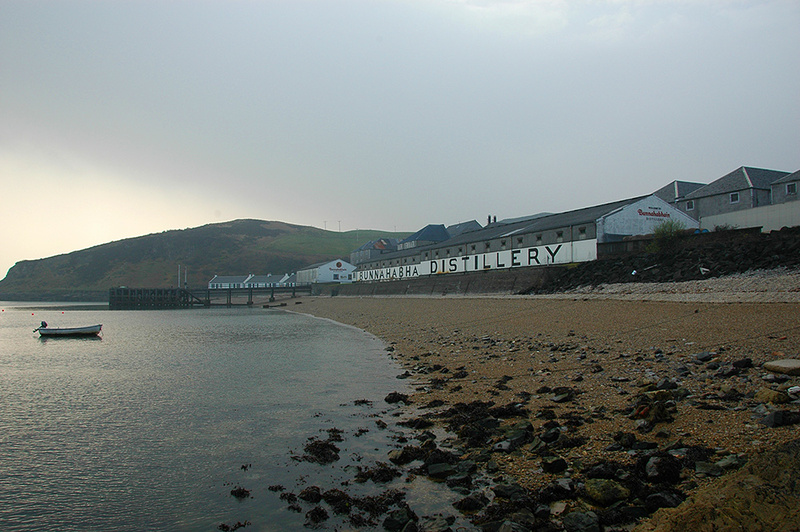 A view of Bunnahabhain distillery from the shore of Bunnahabhain Bay at the Sound of Islay. Taken on a moody and atmospheric morning in April 2007. This entry was posted in Beaches, Cloudy Weather, Distilleries, Landscape, New Post, Village and tagged Bunnahabhain, Islay, Sound of Islay by Armin Grewe. Bookmark the permalink.